Way back in 1979, the Coca-Cola Company introduced a new slogan: “Have a Coke and a Smile.” Turns out that advice holds up. Enjoying a Coke is always pleasant, but the benefits of smiling go well beyond the immediate grin. Pop open a Coke and look at these seven benefits of smiling. The act of smiling, even if you’re not happy in the moment, will make you feel good. The idea seems a bit counter-intuitive, but you’ll actually feel good if you smile first. The smile will bring on the good feelings. The feeling that comes with smiling extends beyond a quick good. Your overall mood will be lifted. A lighter mood will lead to more smiling, which will lead to a better mood. This positive cycle can have long-lasting effects. If your overall mood is elevated, you’re less likely to feel the effects of stress. While simple smiling won’t alleviate the stressful situation, smiling through it can help make the stress easier to bear. The effects begin to stack up. The “feel good” that comes from a smile leads to elevated mood that leads to stress relief. Compounded, these effects can lead to an overall more positive attitude about life. That positive attitude also leads to more smiling and to some potential health benefits. One of the best health benefits of smiling is lowered blood pressure. This effect makes sense: if you’re feeling less stress, your body will respond with lower blood pressure. That effect alone should make you want to smile. A whole host of negative health consequences stem from elevated blood pressure. If an attempt to smile more often can lower those risks, grin away! The good feeling that accompanies smiling is not confined to mood or stress relief. 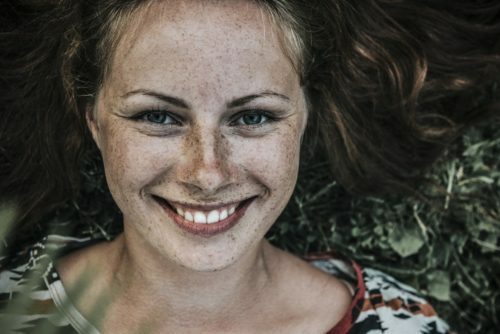 One benefit of smiling might be an increased immune system. In short, feeling better might make us feel better! Maybe it’s not an apple a day that keeps the doctor away, maybe it’s a smile. There is one effect of smiling that our immune systems cannot fight. Smiling itself is contagious. Being around smiling people makes us want to smile, too. So the next time you “Have a Coke and a Smile,” remember that you’re doing the world a favor!